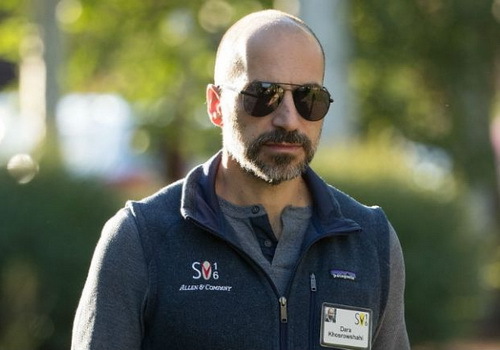 Dara Khosrowshahi officially leads Uber Technologies Inc. A source said the giant ride-hailing on Sunday chose Dara Khosrowshahi, who was previously CEO of Expedia Inc. travel company, as the new boss. Khosrowshahi must now face new challenges to lift the performance of the transport application company that has been problematic for almost a year. Khosrowshahi, 48, had to complete a tough task to boost Uber's image and restore executive relations with investors, rebuild worker morale and create profitable businesses after seven years of losses. Uber's Board of Directors said Khosrowshahi has a track record in driving Uber's indispensable business growth in order to satisfy investors. Expedia has become the business leader of the travel platform through reform and competition. Khosrowshahi also got a bad management legacy from Travis Kalanick, founder of Uber who was knocked out of CEO's post last June. About 40 percent of shareholders demanded Kalanick to step down due to his behavior and senior managers. Uber's Board of Directors holds meetings every day and is free to choose the CEO over the past week. A company spokesman said the board of directors had agreed to vote for Khosrowashahi, but did not want to disclose it to the public before they presented it to employees.